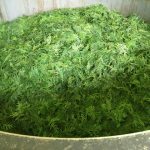 Technical - Ultra International B.V.Ultra International B.V.
We could not pride ourselves on supplying the best essential oils without the capacity to support this statement with some excellent technical support. Ultra BV is proud to have our Technical Team at our New Delhi Creative Centre supporting our internal QC procedures. 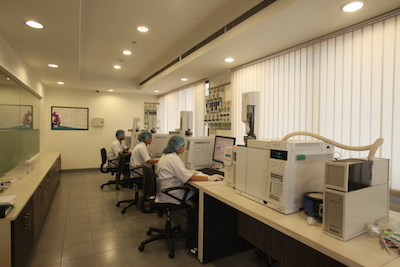 Our team, led by Bhuvana Nageshwaren who has over 26 years experience, is accompanied by other scientists, perfumers and flavourists, supported with some of the best state-of-the-art equipment currently available. Ultra International is ISO 9001, ISO 14001, GMP and has a NABL accredited controlled laboratory. Ultra (as a Group) is an active member of NEA, Holland and the Research Institute for Fragrance Materials (RIFM), USA – a member organisation of the International Fragrance Association (IFRA) as well as the International Organization for the Flavour Industry (IOFI) – the global authority on fragrance and flavour safety. IFRA through its international research organisation, the Research Institute for Fragrance Materials (RIFM), and IOFI through its international research organisation Flavor Extracts Manufactures Association of the United States (FEMA) sets global safety standards for natural ingredients and man-made aroma molecules used in today’s fragrances and flavours. Responsible fragrance and flavour companies and their clients participate and support IFRA and IOFI. IFRA’s and IOFI’s global standards are accepted by the U.S. Food and Drug Administration (FDA) and supported by major manufacturers and marketers around the world. Ultra has registered and pre-registered a number of our essential oils to ensure we can continue to provide our clients with our fully integrated supply chain after the inception of REACH. REACH makes industry responsible for assessing and managing the risks posed by chemicals and for providing appropriate safety information to their users. In parallel, the European Union can take additional measures on highly dangerous substances, where there is a need for complementing action at EU level.